"What's for breakfast tomorrow Pari? ", my other half asks me, "Poha, upma, idli, take your pick I challenge him", "Err I meant what are you making for me? ", "I just told you, take your pick". "No, I meant what with round white eggies?" he asks like an eight year old on Christmas Eve and I finally break out in in peals of laughter with a caught you expression, which is met by a just you wait, I'll think of something novel to get back at you while I'm at work scowl. Sali per Eedu (eggs on potato sticks), Bhida per Eedu (eggs on okra), Ressa per Eedu (eggs on shredded lamb) and wait for it Malai per Eedu (eggs on milk cream) aren't food items that Navroze will sit and come on this year, these are all ingenious inventions, that we Parsis are hold very dear (in our bellies) the cost of being poked fun at by our Non- Parsi friends notwithstanding. One such easy peasy gem is one we make for breakfast and the one I made him that day after some fun teasing is this Charvelu Eedu made in a dollop of butter with copious amounts of freshly available seasonal herbs and condiments. 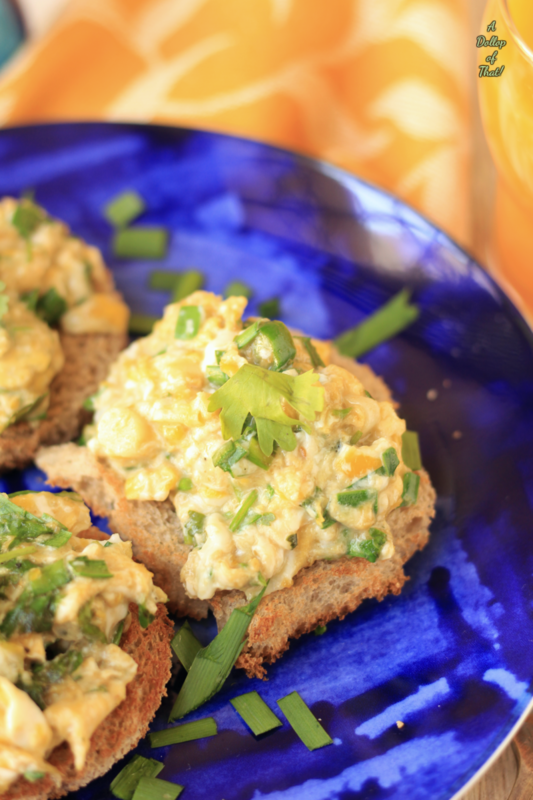 Green garlic or young garlic is the star of this particular dish and the lack of it on hand can easily be replaced by regular garlic cloves, albeit as any Parsi will tell you "Je majja temma te emma nai", meaning the fun in devouring a scrambled egg with green garlic, isn't the same with regular garlic. 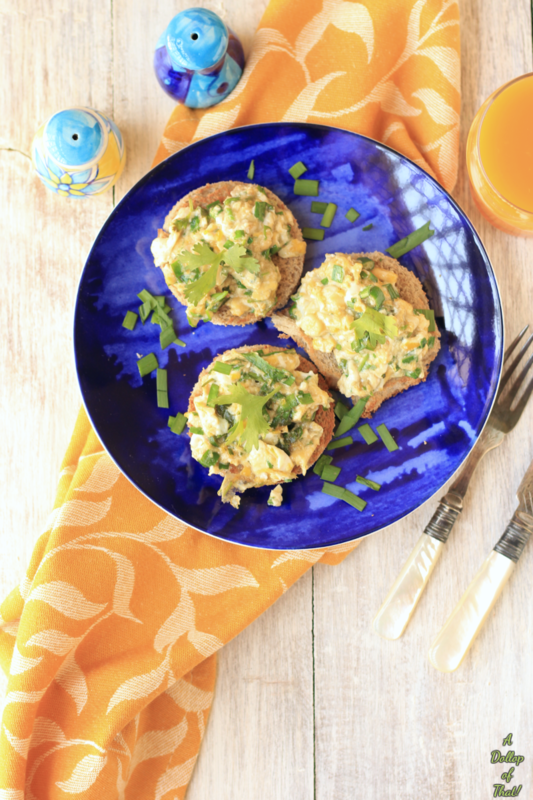 However if you haven't had a scrambled egg with green garlic before, you will certainly enjoy this simple but delicious Parsi breakfast (with an addition of its freely available older sibling). 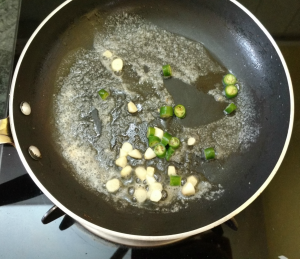 Heat the butter in a small frying pan, once it melts add in finely chopped green chilies and finely chopped green or regular garlic. 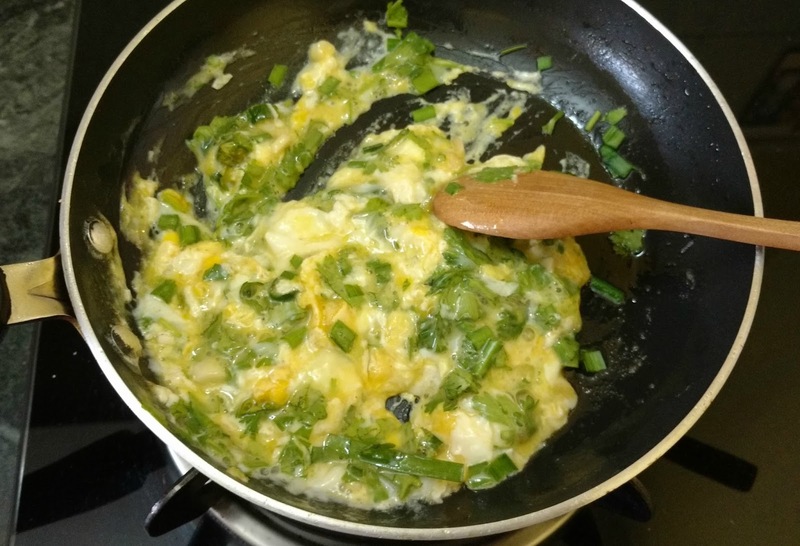 Once the chilies and garlic are both slightly golden in colour, break in all the eggs and cook on a medium low flame, at this point also add in a little milk for extra creaminess. Using a wooden spoon slightly keep stirring the mixture, once it starts to come together, add in chopped coriander leaves and mix again. 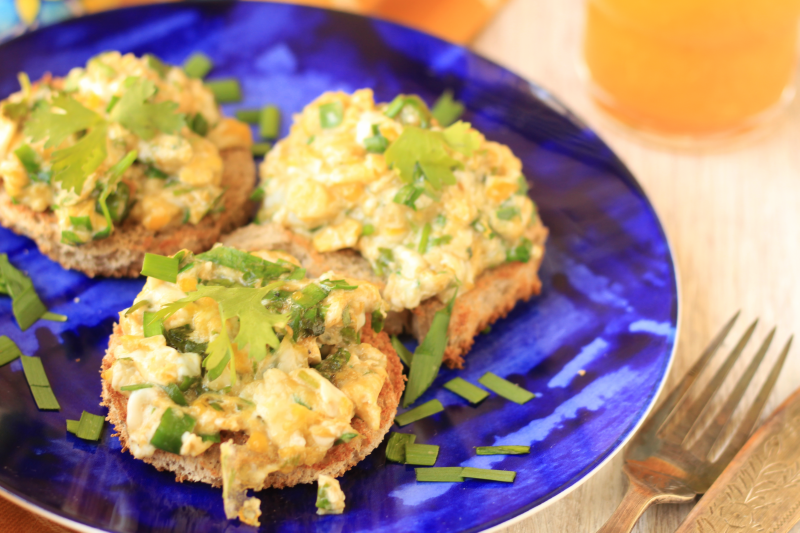 You can make the scrambled eggs as dry or runny as you like. Serve hot with toast and mint tea on the side.